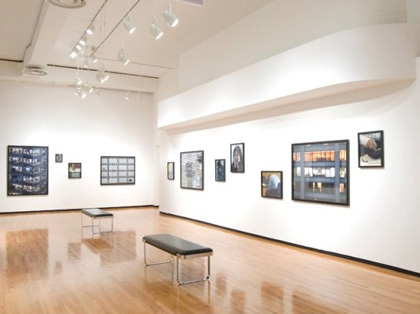 Legendary art dealers Anne and Jacques Baruch first opened their gallery in Chicago in 1967. Their inaugural exhibition was of works on paper by artists from Jacques’s homeland, Poland. Born in Warsaw, Jacques emigrated to Chicago in 1946 after witnessing the murder of his parents during World War II. Soon after his arrival he met Anne Stern, a woman of Russian and Rumanian heritage from Chicago’s West Side, and they married in 1951. Jacques worked as an architect for nearly two decades before he and Anne decided to open a gallery. 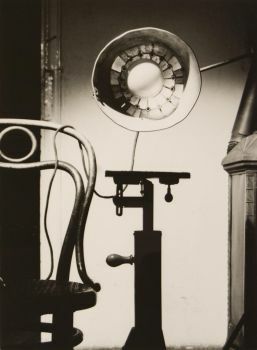 Their new endeavor inspired the pair to travel to Central Europe in search of artists to represent, first to Poland, and soon thereafter to Prague, Czechoslovakia. It was the perfect time to visit Prague and learn about the arts in Czechoslovakia. It was August, 1968, during the infamous Prague Spring, a period of relative freedom and reform during the communist rule of Czechoslovakia. Under reformist President Alexander Dubcek, who had come to power in January of that year, the country was experiencing a period of political and economic democratization, and a loosening of restrictions on media, travel, and the arts. One day while in Prague their airline unexpectedly called and told them their flight was leaving one day early. They left Prague for Switzerland on the 20th of August, 1968, just hours before Soviet tanks invaded Prague. The Soviets had decided to crack down and impose a period of “normalization” on the country, restoring the hard-line communist political and economic policies that had been in place before Dubcek came to power. The Baruchs subsequently lost touch with many of the artist friends they had made, and it took almost a year to get the artworks shipped to Chicago via the government agency with whom they were required to work. Not all of what they purchased arrived, but they still managed to mount their first exhibition of Czechoslovakian art in 1969. Through her travels Anne amassed a remarkable collection of both historical and contemporary Czech photography. Since many of the artists Anne wanted to work with were not sanctioned by the authorities, she began smuggling art out of the country, often at great risk to everyone involved. Although government agents would seal her packages of officially sanctioned art before her departure, she would often alter or remake the seals with the help of artists in order to add more to her packages. She always traveled to Prague with a bright red Hartman suitcase equipped with a false bottom. On the way there she would fill it with art supplies that the artists could not buy, and on the return it would have artworks hidden inside. Once she was questioned by the FBI at her gallery, and once she was detained at the Prague airport and questioned at length. She even came up with a code that she used to correspond with artists and take notes about pricing and exhibition details. Through her travels Anne amassed a remarkable collection of both historical and contemporary Czech photography. The Czech Republic has an incredibly rich photographic tradition. 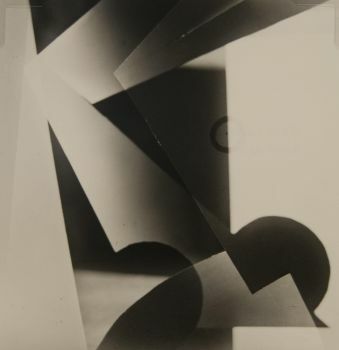 At the turn of the 20th century, photographers such as František Drtikol (1883-1961) and Josef Sudek (1896-1976) joined their European counterparts in exploring experimental techniques to achieve artistic ambitions, in a movement that came to be known as pictorialism. In the 1920s and ’30s, a group of artists including Jaromír Funke (1896-1945) and Jaroslav Rössler (1902-1990) began creating highly experimental works influenced by French surrealism and Russian constructivism. Often combining elements of montage and abstraction, these avant garde masters became influential worldwide. 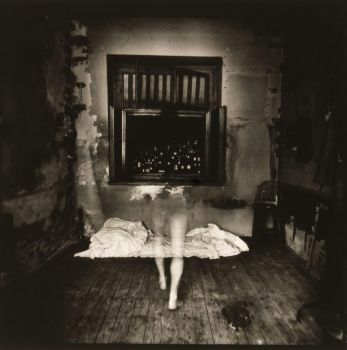 After World War II, as artists were forced to grapple with pressures from the government, experimentation continued and imaginative and surreal photography grew strong underground, as seen in the work of Jan Saudek (b. 1935). 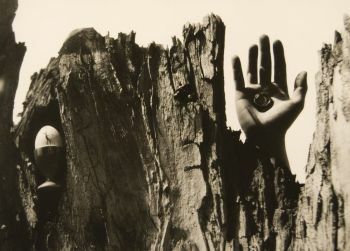 The Museum of Contemporary Photography at Columbia College Chicago is honored to be the recipient of many works from the Baruchs’ collection of Czech photography. As a collecting institution, it is our duty to preserve and make works of art as accessible as possible through exhibition, print viewings, and our website. This, in our opinion, is the best way to pay tribute to the artists and to the democratic, curious spirits of art lovers like Anne and Jacques Baruch.